During recent seasons, the elevation of the stature of player in which the Chinese Super League has been attracting is remarkable. Still an underdeveloped competitive league, it is certain that Europe has been made to take notice of the ambition and potential shown by the Asian nation. The motivation of money has arguably made a huge contribution in the decision of these players to move and whilst spending has stabilised, one of the earliest and most expensive moves saw a recently-signed Atletico Madrid striker Jackson Martinez agree to join GZ Evergrande for €42m in January 2015. Like his short time in Spain, however, the move was hugely unsuccessful, only scoring four times in an injury prone spell at the club that saw him released in March 2018. So just how has Martinez become a free agent after rising up to be one of the most sought-after strikers in football only seasons ago? 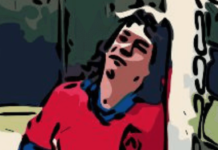 Born in Western Colombia in 1986, Jackson Arley Martinez Valencia started out playing youth football for Independiente Medellin where he started to establish himself as a goal scorer. Martinez achieved history as his 56 goals saw him become the eighth highest ever goal scorer for the club (to date) when he left in 2009. His 18 goals for the Categoria Primera A side saw him achieve the top goalscorer award whilst winning the clubs fifth league title in the 2009 season. No move to Europe was on the cards yet for the hot prospect, but after attracting interest from top clubs in Argentina and Mexico, Martinez signed for Chiapas in 2009 in a deal worth around £2.5m for the 23-year-old. With the league structure split into Apertura (Opening) and Clausura (Closing), Martinez began his time in Mexico with nine goals in 13 games during the 2009/10 season for Los Jaguares. His goal scoring exploits were recognised by international manager Eduardo Lara who gave Martinez his debut for Colombia in 2009 against Ecuador and Uruguay, scoring in both games. 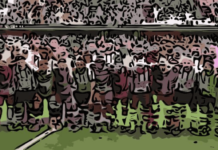 A below par following season then saw Martinez lead his side to the Quarter-Finals of the Libertadores in 2011 before being handed the captain’s armband at the start of 2012. 20 goals for the 2011/12 campaign earned Martinez a move to FC Porto in the summer of 2012 for the bargain price of around €8m. Unfortunately, Chiapas would dissolve in 2017, the same year Martinez would find his playing career begin to dissolve. 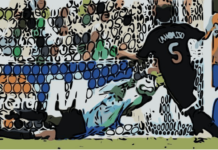 Turning 26, Martinez was showing all his goalscoring experience gained in his native South America by getting his career off to a sensational start in Portugal. Eight goals in his first eight league games saw him collect Player of the Month awards and help Porto to an unbeaten record for Porto. The unbeaten streak would go on to last the whole season as Porto’s invincibles went 30 games unbeaten to lift the Liga NOS title. Martinez’s excellent goal-scoring record playing alongside the likes of Nicholas Otamendi, Danilo, Steven Defour, Alex Sandro and Joao Moutinho saw him net 26 goals in 30 league games. He was coined Jackshow Martinez at one point by journalists, and picked up the nickname ‘Cha Cha Cha’ due to his amazing first season in Portugal with fellow countryman James Rodriguez. With most of Porto’s star players moving away for big money, Martinez would not lift the league title for the following two seasons as Porto finished 3rd and 2nd to SL Benfica. This did not mean his goalscoring exploits stopped, however, as he became Porto’s main threat by scoring 41 league goals across the two seasons. He became a crucial contributor to Porto’s European campaign in 2013/14, scoring seven goals in eight Champions League games including a goal against Bayern Munich in the home leg of the Quarter-Finals. In just three seasons, Martinez had almost reached 100 goals for Porto, an incredible feat which saw Atletico Madrid come in with a huge bid for the Colombian in the summer of 2015. A release clause fee of €35m was met by Diego Simeone’s team, and with the deal complete, Martinez made the short but exciting move over to the Spanish capital. Looking to be the new star in a front line alongside Antoine Griezmann and the returning Fernando Torres, Martinez couldn’t make the fast starts like he had done at previous clubs. Ankle injuries disrupted his playing time, and during his short six-month stay, he only scored three times and made two 90 minute appearances. The return on Atletico’s investment meant it cost the Spanish club over €11.5m per goal scored by Martinez who did not fit the style of play the Simeone demanded. A lack of belief that he could succeed at the club meant a mutual agreement was reached to see the club still turn a profit as Chinese Super League side GZ Evergrande came calling in the winter transfer period. Still in his prime years, Martinez had made the decision to join fellow South American stars in making a huge transfer move to Asia in a deal worth €42m. It was a deal which broke the record for the biggest transfer to the money-rich Chinese league, but was broke again two days later with the signing of Alex Texeira to JS Suning for €50m. After failing to score in the AFC Champions League and Chinese FA Cup, Martinez got his first goals in Asia in the first three league games of the season. This suggested that he could go on to recreate a stunning goalscoring season again, and maybe return to Europe in a similar way Paulinho did by signing with Barcelona. However, he could not find the net in the next two games and missed the next 15 league games due to a recurring ankle injury. After finally returning, Martinez did not look like his former self and only managed five appearances and one more goal in the league at the end of 2016. The Chinese League and Cup were added to Martinez’s decoration but having played such a small and lacklustre contribution, he was not registered for the 2017 and 2018 seasons due to the league’s ruling over the limited number of registered foreign players. Remarkably, Martinez was rotting in the reserve team of the Chinese Champions as his injury problems continued and he entered his thirties. On such lucrative wages, it has been calculated that since Martinez’s release from the club in March 2018, he cost Evergrande £3.3m per appearance and £13.3m per goal scored, an even higher and more ridiculous amount compared to his record at the higher competition of playing Atletico and in La Liga. That is just the average across his transfer fee, not including the €12.5m annual salary he pocketed. Still without a club and no appearance at the World Cup to help his cause this summer sees Martinez in a very difficult situation. He cannot rely on his age as a 31-year-old and with his injury record, a team would be taking a huge gamble to secure the Colombian who could barely feature if he was to continue his career at a new club. It is sad to see what could have been for the talented striker who had everything at Porto and now next to nothing. The only asset he has going for him is his huge finances earned over the years which may need to be put to good use if his time on the football pitch is fading away. Will his love for the game see him take a huge drop in wages to play regular football again and turn his playing career around? 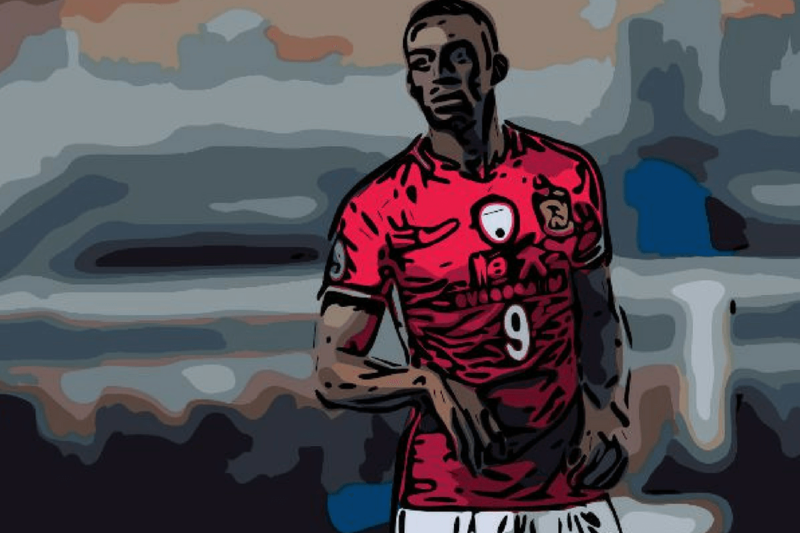 Do you believe his move to Atletico Madrid or GZ Evergrande was the downfall of Colombia prolific striker Jackson Martinez? What do you think he should do next in his career?